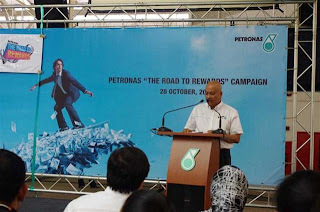 At the launch of the “PETRONAS The Road to Rewards” promotion at petronas station Jalan Kolam Ayer Lama. Ampang. 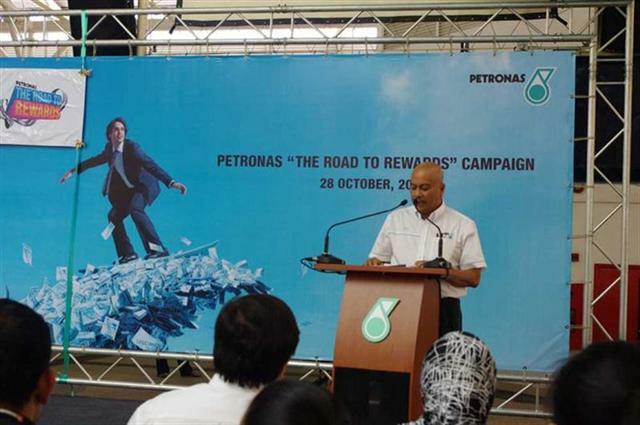 Speech by Encik Zainal Abidin Othman, General Manager, Retail Business Division, PETRONAS Dagangan Berhad. RM30 = RM 3 Million!!! Cool Man! The Promo offers Grand Prizes to a total of thirty lucky customers where three will walking away with RM100,000; Twelve customers will win RM20,000; while fifteen others will be taking home RM10,000! 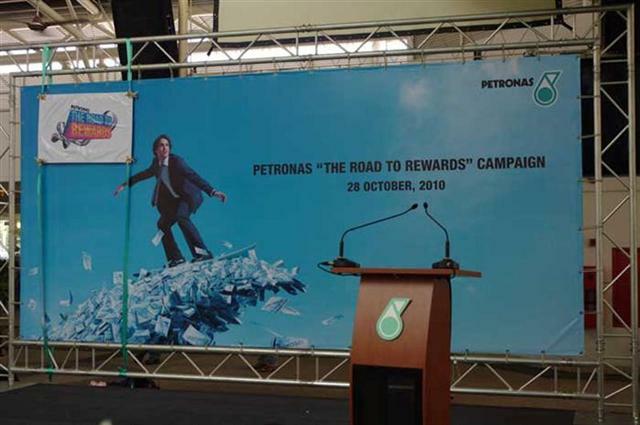 Official Launch of “PETRONAS The Road to Rewards” Promotion by Encik Amir Hamzah Azizan, Managing Director/Chief Executive Officer, PETRONAS Dagang Berhad. Lucky Draw for Kedai Mesra Shopping Sweep pick by Encik Amir Hamzah Azizan. Mostly the Lucky Draw Winner was the Media! These are the Lucky Draw Winner for Kedai Mesra Shopping, Did you see a familiar faces there ? Guess First! 2. Within 45 sec to complete the shopping according to the list within RM200. 3. 1 product cannot repeat 2 times. 4. The highest value in the basket is the winner for this shopping spree. The 6 Contestants are ready for the Shopping Spree!!! Still can guess out who is the familiar face among the contestants? Yes, The contestant No.1 is Jeff Chin DJ from MYFm ! He is ready to Shop now!! The Cashiers are counting How much are they buying/Sweeping! Result Announcement. Can you guess who the Winner is for this shopping spree? Contestant no1, no2, no3, no4, no5! The Winner is Jeff Chin! 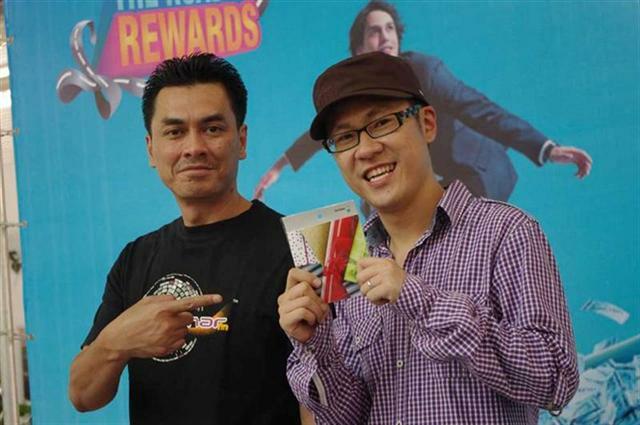 He will walk away with RM100 Petronas Gift Certificate With His Haul of RM69++ ! He added that The Haagen Dazs ice-cream helps! The rest of the contestant also can bring back their haul. Want to Know More On “ PETRONAS The Road To Rewards” Promotion! Stay Tune Ya.